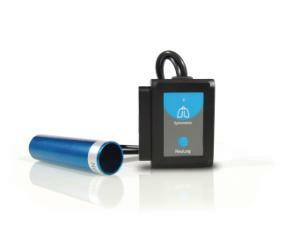 The Spirometer enables human respiratory measurements. The sensor measures the air flow passing through and the volume (in liters) is calculated by the software. This sensor supports experiments lasting between 1 second and 31 days.